Creative IT is the leading data recovery company in London. Thanks to our state of the art central London based data recovery centre, we provide specialised data retrieval services for all the models of G-Technology™ external hard drives including the G-DRIVE ev RaW. Our recovery rate is one of the highest you will find and we can help in cases of logical and physical failures for all the models of the series, including 1TB, 2TB and 4TB. We are ISO 27001 certified and guarantee the security of your data at all times. 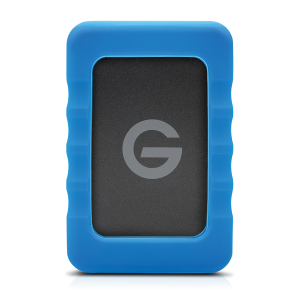 Because G-DRIVE ev RaW external hard drives are made to travel and to transported, their internal moving parts can become defective and give you issues retrieving important documents, photos, digital videos or music. If you are faced with this type of situation, we can find a solution to help you. What can be the cause for a G-DRIVE ev RaW to stop working or fail? We offer assistance for all failures and aim to give you a diagnostic within the hour if you drop your G-DRIVE ev RaW in person in our London data recovery centre. Creative IT provides fast and cost-effective data recovery services for G-DRIVE ev RaW. Our team is highly trained in the latest data recovery advances and has access to the best equipment in order to ensure the successful recovery of all the information backed up on your external G-DRIVE ev RaW. Bring your external drive to our data recovery centre today and get an evaluation of the problem without delay.